Posted on 31, January 2019 by EuropaWire PR Editors | This entry was posted in Automotive, Awards, Management, News, Society, Spain and tagged best company to work for in Spain, career growth, employee well-being, Employees, human resources, Industry 4.0, more paid leave, SEAT, SEAT DisrUP, SEAT Talent Xperience, social benefits, talent recruitment, variable remuneration system, work life balance, workforce, working conditions, Xavier Ros. Bookmark the permalink. MARTORELL, 31-Jan-2019 — /EuropaWire/ — SEAT’s recognition as a Top Employer in Spain consolidates the company’s commitment to the professional development of its more than 15,000 employees. Top Employer has given the car maker its seal of approval for the fifth year in a row making SEAT one of the best companies to work for in Spain. SEAT is the largest employer in the automotive sector in Spain. Some 97% of the workers have an open-ended contract with SEAT. Balancing work and private life, talent recruitment policies, specialised training in Industry 4.0 or the health and well-being service provided to all the professionals are examples of the company’s commitment to quality employment and attracting talent. SEAT has worked over the past years to improve its human resources policy whereby working conditions, flexibility, career growth and employee well-being are at the core of every initiative. Top Employer’s certificate evaluates businesses all over the world that offer the best working conditions and are the most attractive for employees. In the Spain’s automotive sector, SEAT was the first company to receive this distinction. SEAT’s labour relations framework has been established by its collective bargaining agreement, signed back in 2016 and is notable for its flexibility and modernity. Enhancements are made to the variable remuneration system and new measures have been put in place to boost competitiveness and make the company ready for the production increases that have taken place in recent years. The agreement consolidated the variable remuneration system, added an increase in several salary concepts and extended the social benefits provided to the workforce, such as the possibility of having more paid leave. In addition SEAT has also implemented a new Employer Branding strategy with several initiatives to attract and retain talent. One of the most prominent was SEAT DisrUP. The event aims at connecting with the most promising talent by inviting young people to reflect on and come up with mobility solutions for users in large urban areas. 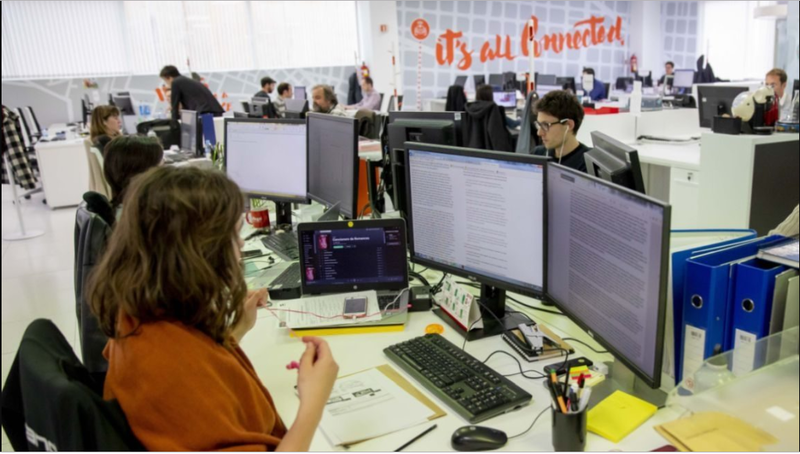 All these initiatives are included in the SEAT Talent Xperience project that the company is promoting to attract professionals with a technical and digital profile to face the company’s future challenges. In recent years, SEAT has invested close to 17 million euros annually in continuous training for its workforce. SEAT has implemented a training programme focusing on the future challenges posed by Industry 4.0, aimed at the entire workforce. To date, more than 2,000 employees have followed the programme. SEAT’s worker healthcare and well-being service, spearheaded by the CARS Healthcare and Rehabilitation Centre, provides all SEAT employees with advanced preventive, healthcare and rehabilitation services in areas ranging from orthopedics, cardiology, gynecology and mental health to image diagnostics, physiotherapy, fitness and rehabilitation. In 2018, more than 70,000 treatments were performed in these facilities for SEAT employees.